​Yesterday we hosted a small get together of friends, family, and neighbors for a little backyard barbecue and bonfire. It was so much fun! I loved tasting all the different salads and desserts that were brought in as passing dishes. So yummy! After a fun filled late night we ended up with a few teenage sleepover guests which I also love! This morning with a few starving mouths to feed I decided to knock one more recipe out of the Betty Crocker Big Red Book. For those who may just be joining the convo. My best friend Amber and I have decided to try to cook our way through an entire cookbook, and we selected the Betty Crocker Big Red Book with over 1500 recipes. So far we’ve completed 9 lol. There’s a long road ahead of us on this cooking challenge. Not made easier by the fact that my dear friend has been down for the count for nearly two weeks with terrible back pain! Hopefully with the help of her doctors she’ll have relief soon, and we can have a little cooking therapy together. Back to breakfast. I chose an heirloom recipe of Pancakes. 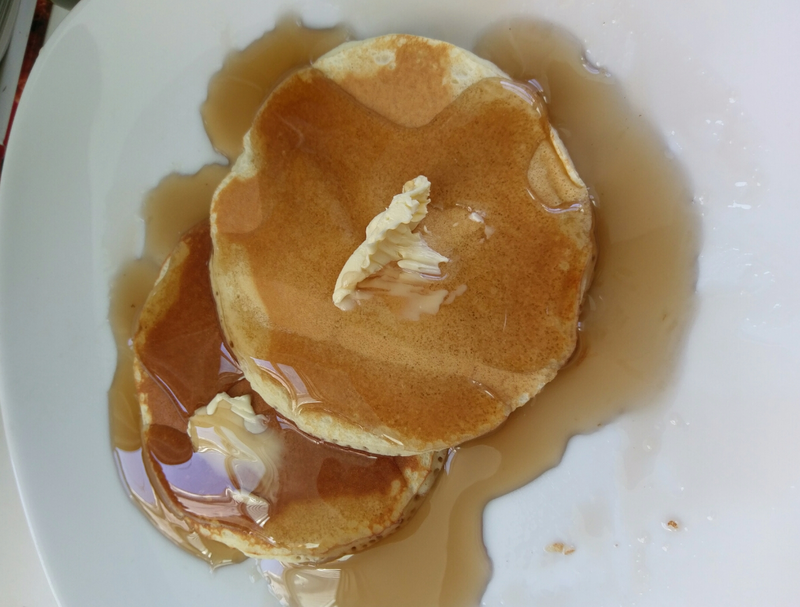 I have to admit I usually buy pancake mix… Don’t judge me lol….but I had everything in my kitchen that I needed and so pancakes from scratch on the menu! The batter was very easy to put together. I doubled it for my crowd, and had enough for everyone. The pancake Gods were smiling down on me. The heat in my pan was perfect. 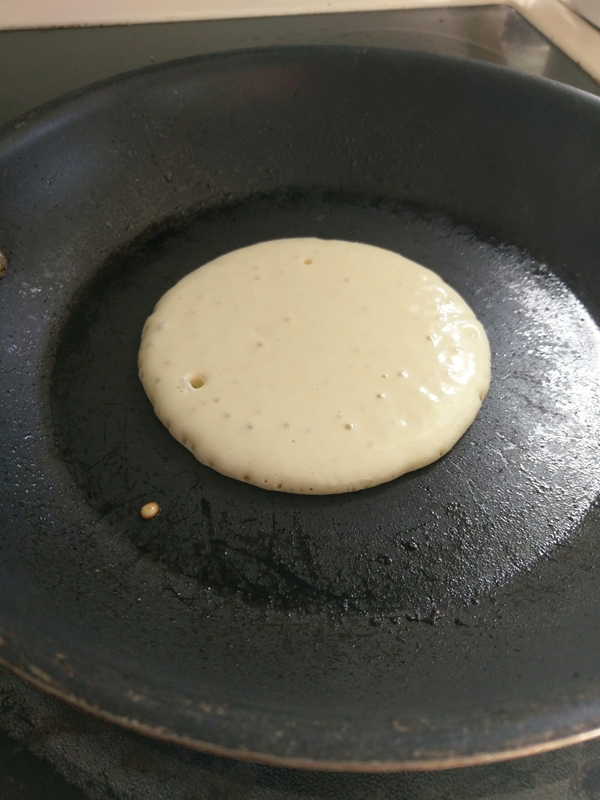 The timing of my nonstick spray application was perfect the cooked evenly and looked absolutely perfect. I even timed turning them over exactly as they needed it and they were the most glorious pancakes I think I’ve ever made as far as look goes. A little butter and syrup and oh my gosh so delicious! Betty you’ve done it again! I have yet to try a recipe out of this book that I don’t like. Happy cooking everyone! Here is the link to Betty Crocker’s Pancakes! Previous Entry Glorious wall covering! Next Entry Meal #3 Finally that chicken!